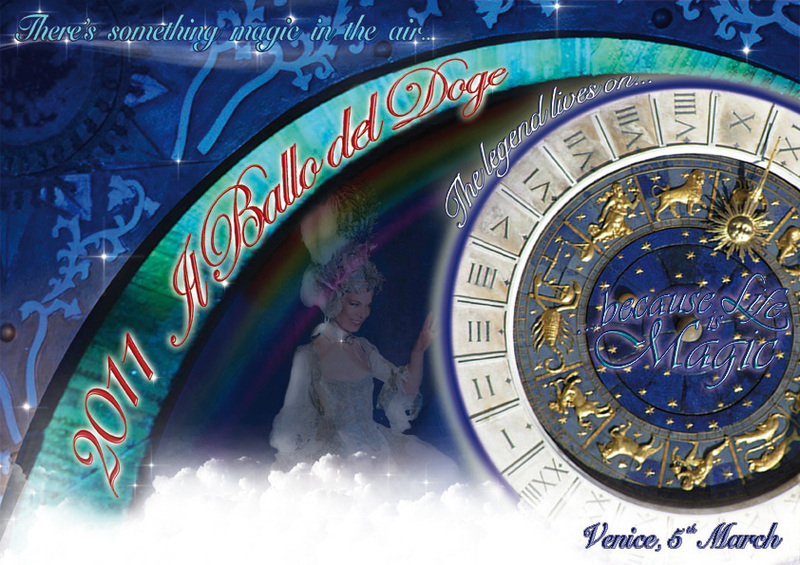 “… because life is magic” is the title of the 18th edition of Il Ballo del Doge which will take place on Saturday 5th March 2011 at Palazzo Pisani Moretta on the Grand Canal in Venice. Take part in Il Ballo del Doge. Step through the magical door and enter a dream. Three floors of a fairytale palace illuminated by one thousand candles. entertain you with a hundred extraordinary performances. Refined traditional Venetian dishes created for you and served to a hundred tables among a hundred different table centrepieces, a triumph of flowers and sweets. A thousand glorious costumes for a night of captivating music, illusions, predictions, mysteries written in the stars, secrets, horoscopes, enchanted formulas. But this is just the setting and it needs a protagonist: YOU! and experience an enchanted, incomparable night where reality meets imagination. Because, as the international press has written, “Il Ballo del Doge is one of the ten things that must be done in a lifetime”. Antonia Sautter is expecting you in her Atelier of costumes so that you can begin your dream. Tickets: Euro 600 for the After Dinner, Euro 1,200 for the Full Ticket, Euro 1,500 for the VIP ticket. i am a travel agent in the usa based in San Diego Ca. i am very interested in attending your carnival event on the 5th of March 2011. please send me all the information regarding tickets and what each ticket includes. there would be two of us attending this event.